Thea began her career in the veterinary field in April of 2008 as a part-time kennel and front desk assistant for Pine Point. In May of 2009 she came on board full time as a receptionist while occasionally assisting in the treatment area. Before coming to Pine Point, Thea earned her Associates degree in Early Childhood education and worked in the Early Childhood Education field for more than 20 years. 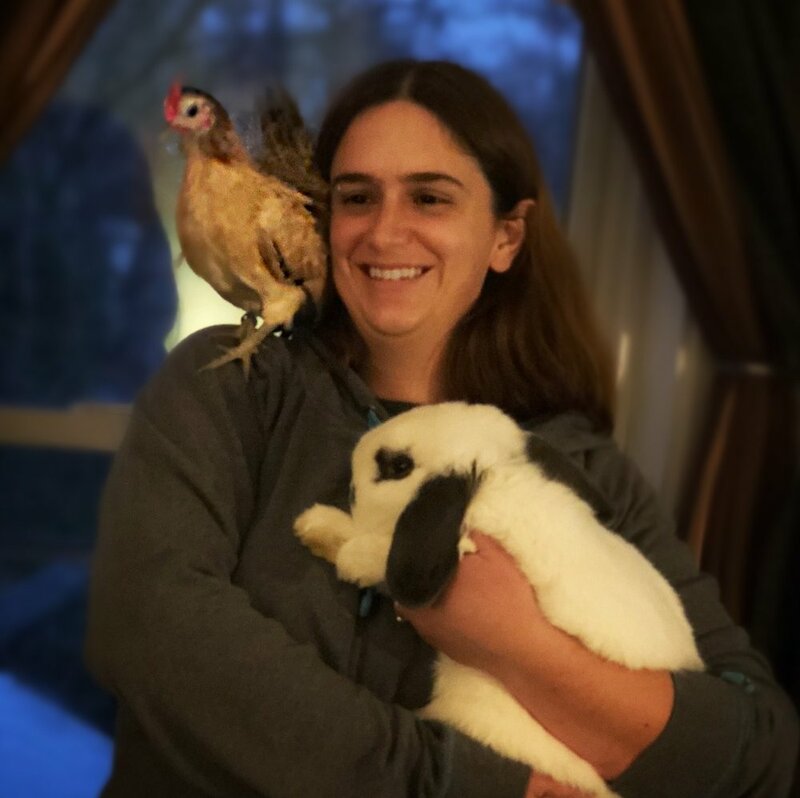 While fostering cats and kittens for the Animal Refuge League she realized she enjoyed working with animals and moved to Pine Point as soon as was possible. Rumor has it she has been having fun ever since. When not at work, Thea enjoys reading (made best when her cat snuggles with her) and watching movies. 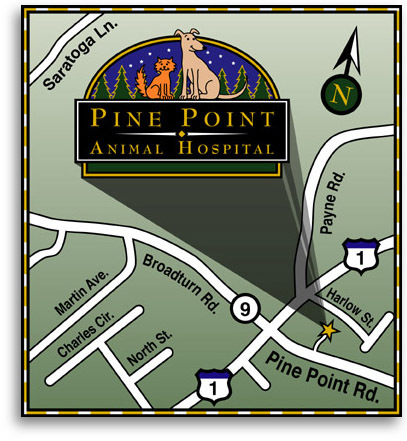 Lisa started her career in veterinary medicine here at Pine Point Animal Hospital in 2006 after having worked in the child care field for 22 years. She holds a Bachelor’s Degree in Child Psychology and a Master’s Degree in Early Childhood Education. Lisa is very excited about expanding her career to include her first love – animals. Lisa’s interest in veterinary medicine was sparked by her work with the Animal Refuge League in Westbrook. It was in this role that Lisa met Drs. Ann and Katie. Her fostering provided care for the feline population for 5½ years. Lisa’s house is filled with not only her own pets, but also with various cats and dogs that she is frequently “sitting” for friends and family. When she is not at work or learning something new online, Lisa has been known to enjoy reading a good book (or twenty), watching an entertaining movie, or knitting some new cat toy for her cats to enjoy. Keisha has been a veterinary technician since 2009 and has worked in both Massachusetts and Maine. She has her Bachelor of Science degree in Marine Biology. Keisha has worked with a variety of animals including horses, cows, goats, ferrets, rats, and rabbits, as well as cats and dogs. She became a part of the Pine Point team in April of 2015. Her favorite part of technician life is interacting with the clients and their animals during appointments. Keisha recently purchased her first home in Naples, Maine with her boyfriend Frank. They share their home with 3 rescued dogs – Annie, a mix breed, and Lola and Oliver, Yorkshire terriers. When not at work Keisha enjoys relaxing and spending time at home along with hanging out with friends. Kel moved to Maine not long ago and joined our team in February of 2018. She studied Animal Science back in Massachusetts, her home state. 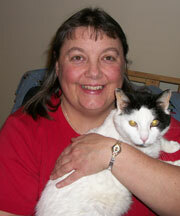 Her motive behind becoming a Veterinary Nurse was her childhood dog, Sheldonne. Her passion in Veterinary Medicine is surgery. There is nothing Kel wouldn’t do to help the life of an animal. In her free time she likes to spend time with her family and her three fur-children, Ryleigh, Diesel, and Parker. You can also catch her watching any Boston sports team any time one is on TV. Kel lives her passion every day in the hospital and loves to keep learning new things. Stephanie grew up in southern Maine and had a previous career for ten years. She realized she would rather be working with animals and enrolled in the YCCC veterinary technology program where she will be graduating in December 2018. What Stephanie finds exciting is that not one day is the same as the last. There are always new faces and something new to experience. She spends her spare time with her fiancé and son, and barnyard of animals including two cats, a rabbit, and a Serama chicken. Stephanie joined Pine Point Animal Hospital in February of 2018, and can’t wait to work with all of you! Celine has always had a passion for caring for animals ever since she was a young child. She has had an array of pets from cats and dogs to guinea pigs, rabbits, geckos and hamsters over the years. Her love of animals brought her to work on her Girl Scout Gold Award Project, Scarborough Turtle Preservation and Conservation her senior year in high school and led her to enroll in a Veterinary Technology program at York County Community College in 2017. She started working at Pine Point Animal Hospital in May of 2017 and has the career goal of going to Veterinary School to study exotics and small mammals once she becomes a licensed technician. She enjoys working with small animals such as rabbits, guinea pigs and ferrets and providing them personalized healthcare.